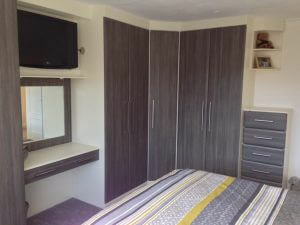 This was a very exciting bedroom to design and install, the customers had some great inputs. And the finished product looks even better than expected! 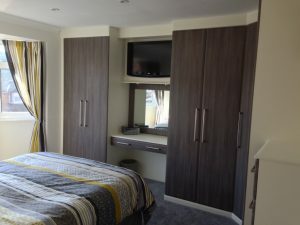 The fitted bedroom was in our Goscote range, Brown grey avola doors with an ivory carcass and interior. 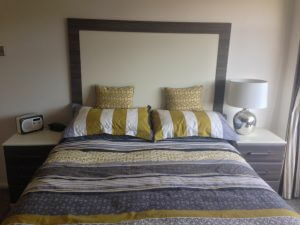 We also used the ivory to contrast with the worktops and the headboard.